Eye See…Eye Learn provides comprehensive eye exams by local optometrists to junior kindergarten students in participating school regions. The eye exams are covered under provincial health insurance (OHIP) when you show your child’s health card. This means that there is no out-of-pocket cost for the eye exam. If the child requires a pair of glasses, they will receive them FREE of charge courtesy of our participating sponsors and optometrists. 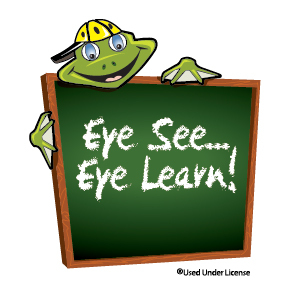 The Eye See…Eye Learn program was developed to raise awareness among parents of the importance of having their children’s eyes checked upon starting school. Children, who cannot see the board, focus on a picture or follow words in a book may struggle to achieve their full learning potential. Vision problems can also impact their hand-eye coordination for physical activities and even impact their social development. In fact, 80 percent of learning comes directly through vision. Starting July 1, children entering Junior Kindergarten in September of the school year in Simcoe County District School Board are eligible to participate in the free Eye See…Eye Learn (ESEL) program that encourages parents to book a comprehensive eye exam with a participating Doctor of Optometry for their JK child.